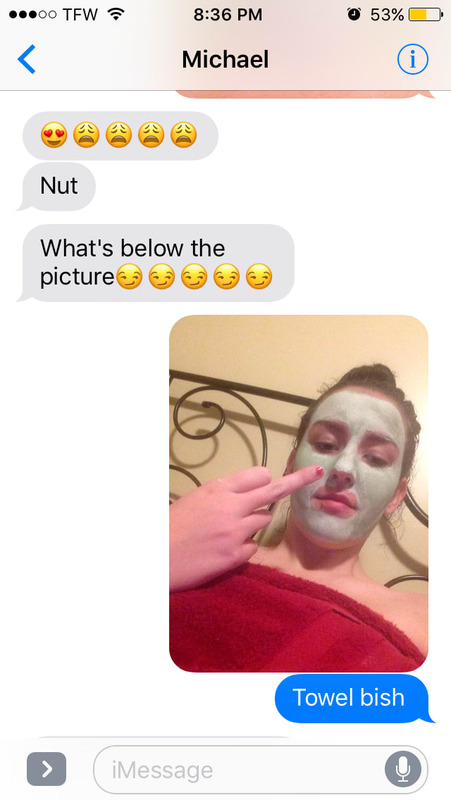 Guy asks this student to send nudes. 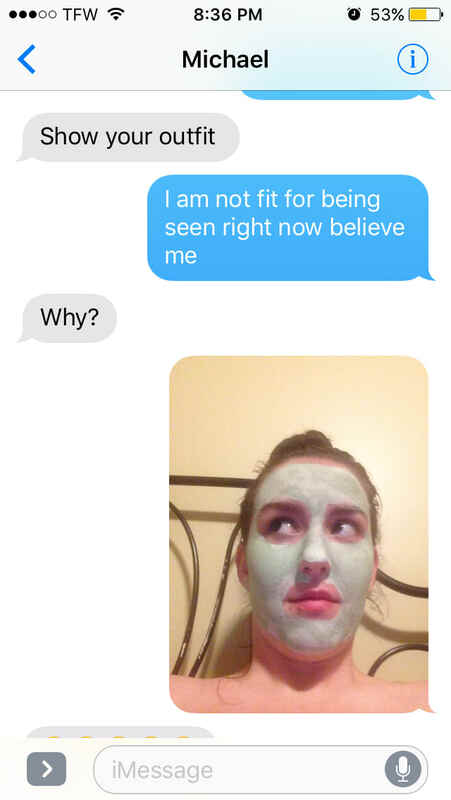 People love her response. Jacquie Ross is a 16 year old student. Michael, another 16 year old student was texting with her recently, and asked to see her outfit she was going to wear to prom. 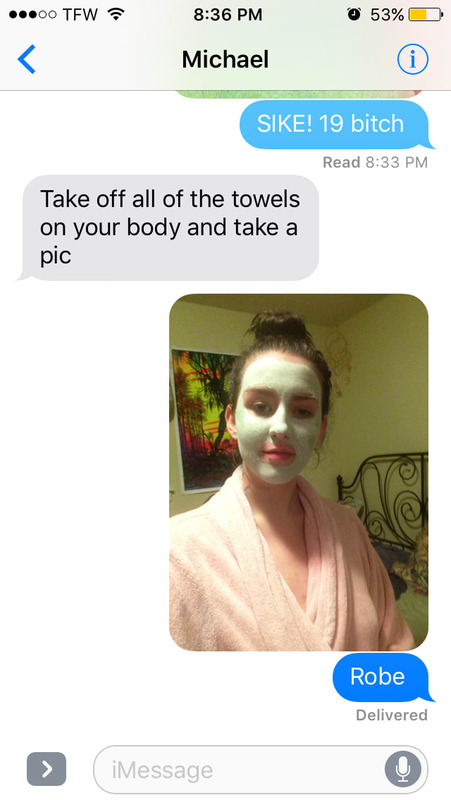 But she had just got out of the shower, and so her outfit at that point was just a towel. At that point he went into 16-year-old boy mode and asked to see what was beneath the picture. 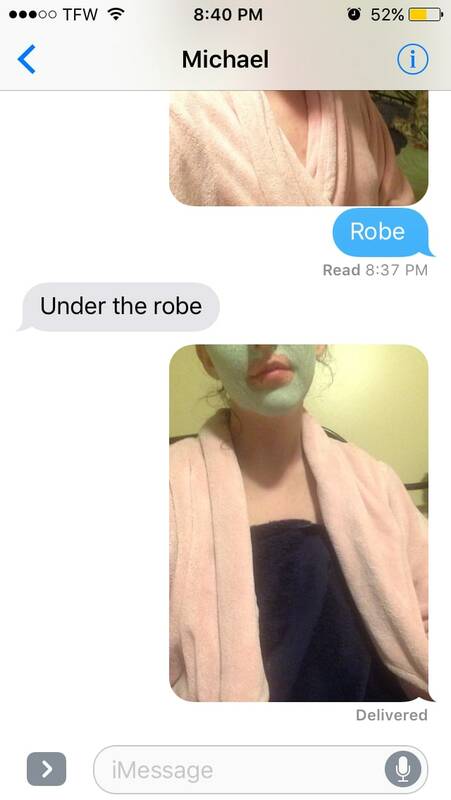 She obliged. 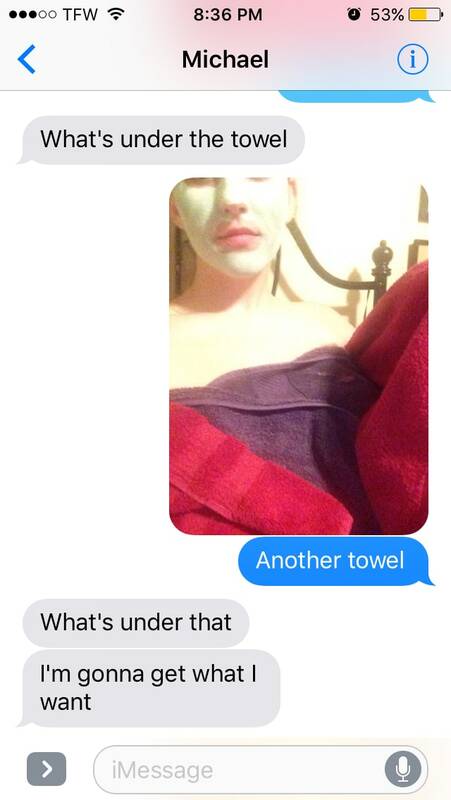 So he got more specific and asked what was underneath the towel. She obliged again. He became more insistent. 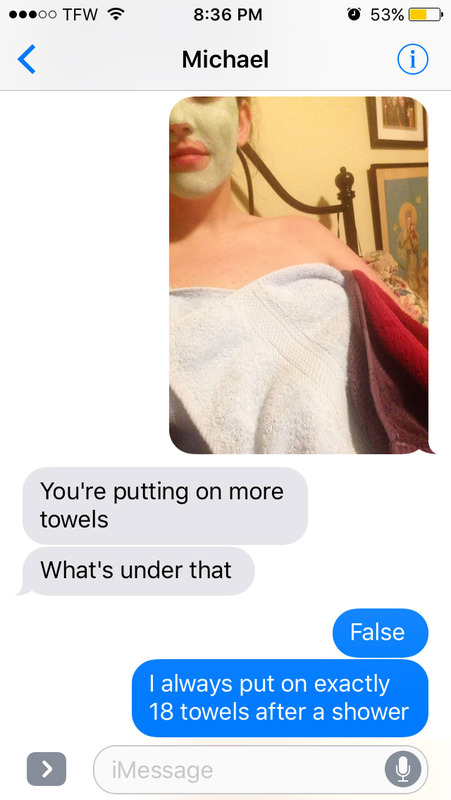 Fortunately, Jacquie appears to have an infinite supply of towels and modesty. 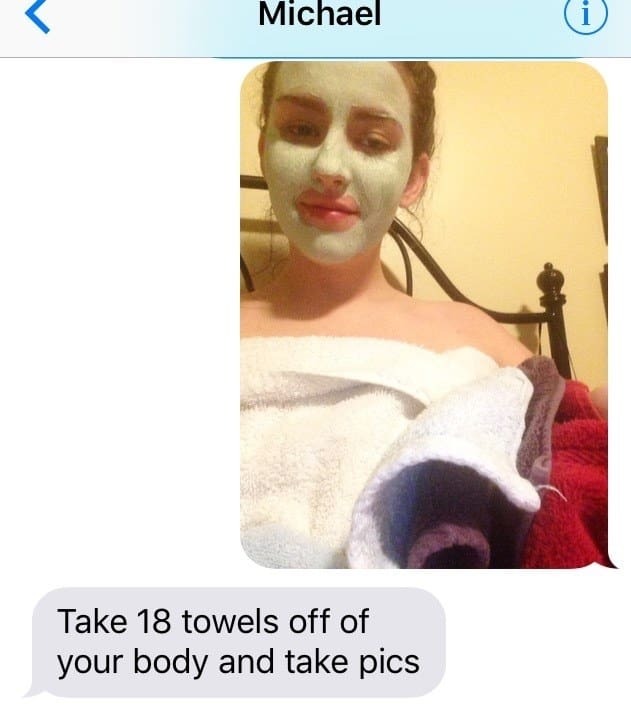 And besides, she always wears 18 towels after a shower, like all people should. 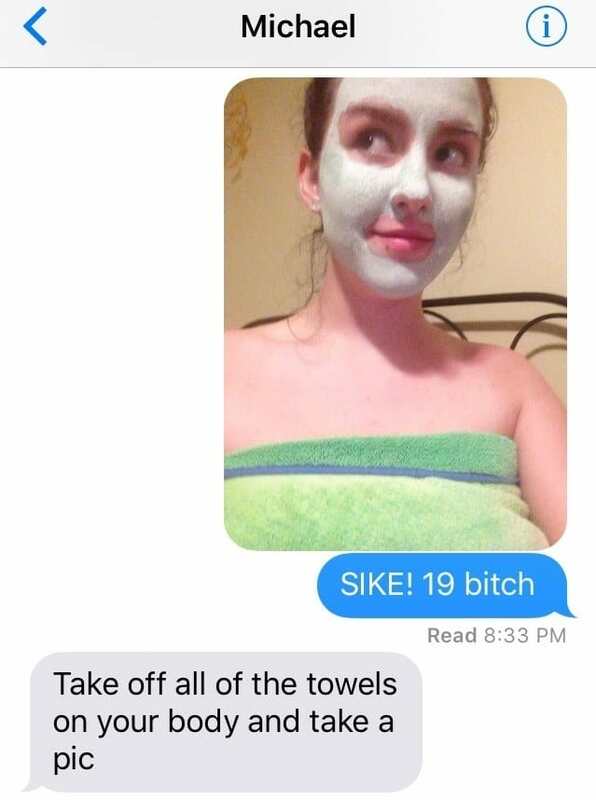 So he asked her to remove all 18. Jaquie put the post on Tumblr, where it has been seen by millions of people. 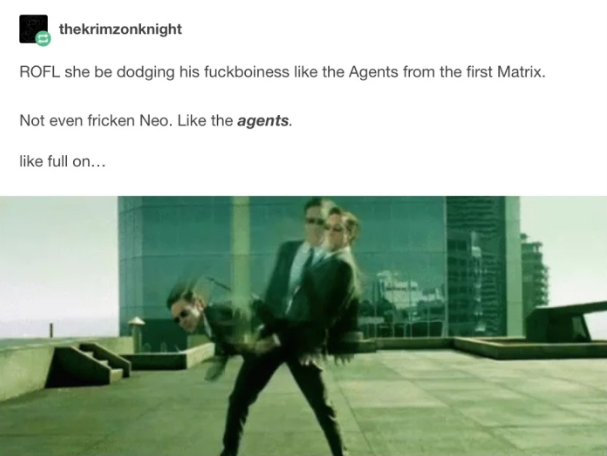 She has since been compared to the Agents from the Matrix for her dodging skillz.